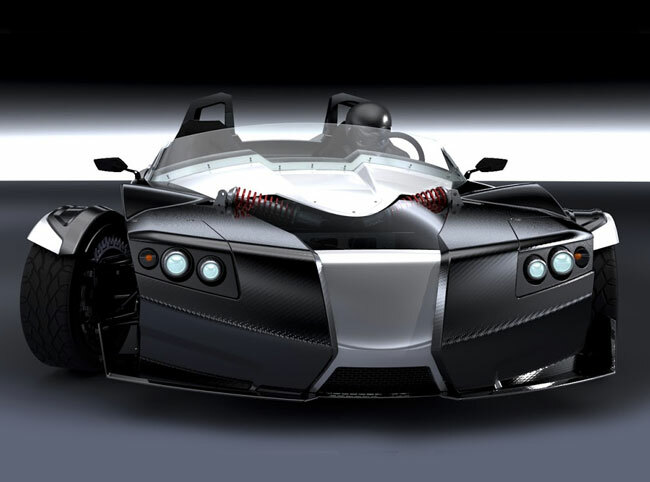 The electric powered Epic Torq roadster is capable of 110 miles per hour and an estimated 0-60 time of around 4 seconds, and the Epic Torq Roadster also claims to be the world’s fastest 3-wheeled electric vehicle. The Epic Torq roadster has been constructed using Volkswagen components that allows you to upgrade and tweak the vehicles specifications to suit your needs and customise the interior if desired. The Epic Torq roadster is also equipped with a Samsung tablet integrated into the dashboard showing you various speed and G-Force indicators. Epic Electric Vehicles founder Chris Anthony gives unveils the story behind this unique, high-performance EV trike in the video after the jump and explains a little more about the design of the Epic Torq roadster. Chris has already been responsible for creating an electric powered boat in the form of Epic Boats, and off road ATV vehicle. Watch Translogic host Bradley Hasemeyer take the new Epic Torq roadster for a spin. For more information on the new Epic Torq roadster jump over to the TorQev website for details.